What if we placed our thinking about the church within the grand narrative of God’s ongoing redemptive work in the world? What if we defined the church not by what it has been, or even by what it is, but by that end to which it moves? The answers to these questions can be found in the ecclesiology of Lesslie Newbigin. Newbigin, who began articulating a vision for the church while he was a missionary in South India, has had enormous and irreversible impact on contemporary ecclesiology. His insights were instrumental in the early decades of the World Council of Churches, and even show up in the documents of Vatican II. This paper will attempt to encapsulate the major elements of Newbigin’s ecclesiology. We will consider his understanding of ecclesiality, specifically in relation to the insights and failures of the Catholic, Protestant and Pentecostal streams. I will show how the foundation for Newbigin’s ecclesiology is his eschatology and give special attention to the two areas of his most significant contributions: the Church’s unity and its mission. To illustrate the way Newbigin’s ecclesiology reinterprets typical ecclesiological topics, I will consider briefly Newbigin’s understanding of the sacraments. In conclusion, I will highlight several aspects of the contemporary relevance of Newbigin’s ecclesiology. It is impossible to understand Newbigin’s ecclesiology apart from consideration of the context out of which it arose. Newbigin was a missionary in South India for much of his life and it is out of his experience on the mission field that his ecclesiology emerged. Simply stated, Newbigin saw the church as the community enacting the mission of God, and as such, it must be a unified community. Christian disunity, in the context of South India, was a primary obstacle to the church’s work of mission. In some parts of South India where two missions have competed for the allegiance of the same villages, there are now two churches in each village each consisting of converts from one caste. The old caste-division is now camouflaged by a fine display of conviction about theological principles. In such a situation the Church contradicts its own nature. On the other hand, where one church stands in one village, claiming the allegiance of all binding all by common bonds to one Lord, the true character of the Church becomes clear. Newbigin was, in fact, a major force in the realization of a unified Church of South India. After years of effort and conversations with denominational leaders, the congregational, Presbyterian and Episcopal churches of South India united. Newbigin was able to experience unity on a local level and it persuaded him all the more strongly that unity was incumbent on the universal church. He spent many years working with the World Council of Churches hoping to bring about the “organic” reunion of the church. Newbigin was convinced that reunion would never come about out of purely academic discussion, but would only result from Christians finding themselves confronted with the “practical issues which arise in the course of the fulfillment of the Church’s mission.” To this end, Newbigin pushed for the integration of the International Missionary Council, of which he was the General Secretary, with the Division of World Mission and Evangelism of the WCC. He believed that if the WCC could center its primary attention on the work of mission, unity would be possible, in a way not possible by direct effort. Newbigin’s ecclesiology is a product not only of his brilliant mind, but also of the contexts in which he served the church. In South India he was confronted with the hindrance disunity proved to be to the mission of the church, which he saw as essential to its identity. Through his involvement with the WCC, Newbigin had to wrestle with the ideal nature of universal unity. Newbigin develops this summary with a chapter devoted to each tradition, identifying its unique contribution, and its dangers, to the church. Newbigin resonates strongly with the Protestant affirmation that “faith is, from the human side, the constitutive fact of membership in the people of God.” If faith is said to constitute the church, then the Word of Scripture as the instrument through which faith comes, can be considered a true mark of the church. The over-intellectualized view of faith results in the opinion that doctrinal agreement is the “one essential basis for Christian unity” without acknowledging the Spirits role as unifier. This blunder is addressed by the Pentecostals, as we will see. The second error, slipping into a purely theoretical and invisible doctrine of the church, is answered by Catholic ecclesiology. that though a Church be besotted with corruption, bound to the world in an unholy alliance, rent with faction, filled with false teaching, and utterly without missionary zeal, God’s mercy is big enough to cover these defects and they do not destroy its claim to be regarded as part of the Church; but that though a Church be filled with all the fruits of the Holy Spirit, if it lack the apostolic succession it is no part of the Church and all the mercy of God is not enough to make it so. Newbigin is breaking new ground by including “Pentecostal” as one of the primary streams of the church, but it is not hard to see that he is attempting to develop a Trinitarian ecclesiality. He has already reinforced faith in God and inclusion in Christ’s Body as constitutive, now he requires the presence of the Holy Spirit. In fact, it is the insight of the Pentecostal churches that he hopes will break the deadlock between Protestant and Catholic perspectives. Below we will consider the features of Newbigin’s eschatological ecclesiology which drive him to a missional ecclesiology. An eschatological view is always one which considers where history is moving to, but also where it is moving from. In order to assess this, Newbigin tries to encapsulate the grand narrative of creation, fall, redemption and eschaton. It is particularly redemptive history which sheds light on the nature of the church. Redemptively speaking, since the fall of humankind, God’s every action has been done with the purpose to restore humanity to relationship with himself, and proper relationships with one another and creation. Newbigin considers redemptive history through the lens of God’s election. He chooses one to be the bearer of his blessing for the many. Abraham is chosen to be the pioneer of faith and so receive the blessing through which all nations will be blessed. Moses is chosen to be the agent of Israel’s redemption; Israel is chosen to be a kingdom of priests for the whole earth. The disciples are chosen that they may be “fishers of men” (Mark 1:17) or, in another metaphor, that they may “go and bear fruit” (John 16:16). The church is a body chosen “to declare the wonderful deeds of God” (1 Pet 2:9). Eschatologically speaking, the church is a manifestation of God’s choice to redeem humanity through chosen individuals and people. We will examine Newbigin’s doctrine of election more closely in the pages that follow. Let us now follow the thread of Newbigin’s eschatological view that sees the church as a people on the move. God began the work of redemption by calling Abram to travel to land he did not know. Israel understood itself as an Exodus people who traveled from slavery in Egypt to the promised land where they longed for their messianic future. The church, too, is a pilgrim people. Newbigin enunciates this feature of his eschatological view of the church: “The Church is the pilgrim people of God...hastening to the ends of the earth to beseech all men to be reconciled to God, and hastening to the end of time to meet its Lord who will gather all into one.” In this quotation we can see how the trajectories of the church are set by the goal of the church. As a community who will be the epicenter of the ingathering of a new humanity, the church is to hasten to the end of the earth. As a community who has yet to meet its Lord and be gathered, the church is now to acknowledge its own imperfection, its not-yetness. This pilgrim perspective, Newbigin believes, is an antidote for the “fundamental error into which Catholic doctrines of the Church are prone to fall,” namely “subordinating the eschatological to the historical.” The long-standing Catholic preference for the historical is the root of Catholic doctrines of a sinless Church, against which Newbigin rails. The Church has not yet arrived; it does not yet have “the full plentitude of God’s grace in itself now” as static, conservative Catholic ecclesiology seemed to suggest. Newbigin’s criticism gained the attention of Catholic theologians, and his notion of the Church as God’s pilgrim people found its way into Vatican II. Though this did not include a repudiation of the sinlessness of the Church, it did at least theologically, if not practically, restore the eschatological to its place of primacy. Newbigin’s trademark description of the church is ripe with eschatological meaning: “The church lives in the midst of history as a sign, instrument and foretaste of the reign of God.” The church finds its identity and mission in what it points to as a signe, what it tastes like as a foretaste, and what it participates in bringing about as an instrument. All three of these terms, sign, foretaste and instrument, are closely linked to the mission and unity of the church. We cannot be instruments, “beseeching all men to be reconciled to God, except we ourselves be willing to be reconciled one to another in Him.” H Our ability to be united testifies to our participation in Christ and the effectiveness of the gospel. Unity enables mission. If we are a foretaste, we are then able to be an instrument. As the church points to the kingdom, and gives a visible and tastable sample of it, it also serves to usher it in, primarily through its mission. Christian mission is not only a sign of the kingdom but the “instrument of a universal and eschatological salvation.”H Through the empowerment of the Spirit, the Church leads this present age to its consummation, by bringing the Gospel to all nations. Again, eschatologically speaking, history is on the way to a summing-up in Christ. The church points to this, gives the world a sampling of its flavor, and, through its mission, is its instrument. An eschatological ecclesiology must be a missionary ecclesiology for the “implication of a true eschatological perspective will be missionary obedience...” The church, as a pilgrim people, is simultaneously on its way to the end of time and to the ends of the earth. As we have seen, Newbigin’s eschatological view identifies the church as the instrument of God’s redemption. Hence, the church’s very nature and identity are found in its mission. This insight is perhaps the most important contribution of Newbigin to ecclesiology. In the grand narrative of redemption, God’s means has always been scandalously particular. Along the way God has pursued blessing for all through the choosing of one man, Abram, one nation, Israel and one man, Jesus. While Newbigin denied the analysis of Hunsberger that election was the foundation of his ecclesiology he did write, “no discussion of the nature of the Church can avoid dealing with the doctrine of election.” To some eyes, namely those of Calvin, the doctrine of election leads to a doctrine limited atonement. That is, the doctrine of election has seemed to many to indicate that God’s intent for redemption is not universal, but limited. Newbigin rejects this line of thinking and announces that God elects a few not for their own benefit, but for the benefit of all. With the eschatological view that God “purposes the salvation of all” it becomes apparent that election is not for comfort, but for responsibility. Furthermore, given the corporate nature of salvation, it can not come to each individual as a “direct revelation from above but only through the neighbor.”[a] Newbigin takes this logic so far as to say that even the elect can only be saved by receiving the gift of salvation from the non-elect. He derives this from Romans 11, in which it is through the non-elect Gentiles that the elect Israelites might be saved, as well as through being grafted into Israel that the Gentiles are saved. The purpose of election is evident in the light of history’s eschatological trajectory: “One race is chosen in order that through it God’s salvation may be mediated to others, and it may thus become the nucleus of a new redeemed humanity.” The church, then, is the nucleus of the redeemed humanity, but not its totality. If it is to serve as nucleus, it must gather others into its fellowship, it must be about its mission. The church, as those who have been grafted into Christ, are the elect community whose identity and essence are found in their purpose. Namely, God has chosen the church so that he may save the world. If the church is to be seen primarily as the instrument of God’s saving mission to the world, mission can be rightly called a condition of ecclesiality. [b] The true church is the church in mission. A Church which is not a mission is not merely an unhealthy church, it not a church at all. Mission is not merely something that the church does, mission is what makes it a church. Mission is the essence of the church. The church has its “existence is in the act of being the bearer of that salvation to the whole world.” Apart from participation in Christ’s mission to the world, there is no participation in Christ. It is easy enough to declare that the church is the instrument of God’s mission to the world, but it is essential to attempt to speak of how this mission is to be lived out on the congregational level. Newbigin’s missional ecclesiology has significant ramifications for the understandings of clergy and laity in the church. a newly baptized congregation will not be trained first in churchmanship and then in missionary responsibility... . It will receive its training in churchmanship precisely in the discharge of its missionary responsibility. Those who are being catechized, Newbigin suggests, ought to, as a primary part of their instruction, be going to neighboring villages and attempting to communicate their faith. I do not think the idea of ‘Christian presence’ can replace evangelism in the life of the Church. Jesus was not only himself the good news, but he was also himself the evangelist. His deeds were interpreted by words. ...The words interpreted the deeds and the deeds authenticated the words. Mission can not be effectively done without consideration for the context in which the mission is to take place. Much of Newbigin’s later writings center on his efforts to assist in the church in the West contextualize the gospel for a post-Christendom society. We will make no attempt to summarize his work toward that end. It will be enough to acknowledge that the church’s fundamental missionary nature demands that it also be astute in its understanding of the ebbs and flows of the cultural contexts in which it finds itself. ...it is not enough for the church to go on repeating in different cultural situations the same words and phrases. New ways have to be found of stating the essential Trinitarian faith, and for this the church in each new cultural situation has to go back to the original biblical source of this faith in order to lay hold on it afresh and to state it afresh in contemporary terms. As briefly suggested above, the effectiveness with which the church goes about its mission has much to do with its manner of living. According to Newbigin the unity or disunity of the church, as a primary expression of the manner of the church’s life, has enormous impact on the furtherance of its mission. It is for this reason that Newbigin devotes much of his ministry to the ecumenical movement as well as the unification of the churches in South India. Drawing on Jesus’ words in John 17, Newbigin locates the necessity of church unity in its missional identity: “unity is in order that the world may believe.” If the world is to be able to identify Christ’s disciples because they “love one another,” what missional impact can a divided, angry and accusatory church have? Denominationalism, under which Christians claim some other source of unity than Christ, contradicts the gospel in which Christ is the source of unity for all people. Newbigin’s belief that the church exists for its mission drives him to see disunity as an unacceptable hindrance. Unity is an important ingredient if the church is to accomplish its mission, and thereby be the church. Unity is essential to the church. More simply stated, the best hope for the church to reunite is for it to be about its mission and there discover how urgent its unity is. Mission demands unity, and mission leads to unity. Unity is not only essential to the church’s mission, it is an essential reflection of its eschatological nature. Unity in the church is a foretaste of the unity of all humanity with God in the eschaton. The church is to be the nucleus of the new humanity, a humanity in which all nations, tribes and tongues are reconciled with God. The church is to be united as “a sign and a sacrament of the unity of mankind.” A divided church contradicts its destiny as the nucleus of the new redeemed humanity. ...indeed true Christian worship is an offering on behalf of the whole of mankind. The Church as a whole is called to be God’s holy priesthood for all of the human family. ...This means, for example, that in our worship we should try to offer up to God all that is best in the art and music and thought of the world around us. All of it belongs to God, and all of it should be offered to God in our solemn acts of worship. 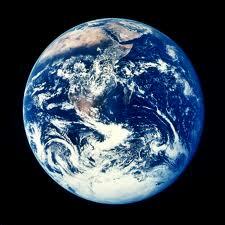 The church serves as representative to God of the whole world, for it is the nucleus of the whole world’s future. God blesses the church for the sake of the world and the church worships God on behalf of the world. The only way to rightly represent the unified future of humanity is in a unified church. The only way to rightly prepare to be the nucleus of a redeemed and unified humanity is to be a united fellowship. The church and the churches are the ungodly whom God justifies, the dead whom God raises and the thing that is not that God calls as though it was. The church fails to meet the demands of its essence, but God makes it the church regardless, out of grace. ...is that we should be His witnesses to the uttermost parts of the earth, preaching the Gospel, doing the mighty works of the Kingdom, baptizing the nations, and bringing all men into the one fellowship whose visible center is the sacrament in which we are partakers of His risen life and show forth his death till He come. There is no body of Christians which does not depart in some or all of these respects from His will. Mission, unity and the Spirit’s presence and activity are essential for the church to be the church, and yet all churches fail to meet all the essentials of ecclesiality. This is the “ultimate problem of the Church...it is at once holy and sinful.” Now we can grasp the importance of Newbigin’s rejection of the Catholic doctrine of the infallibility of the church. [c] He dismisses it as historical dishonesty. This essential failure of the whole church to be the church put the church in need of God’s grace, apart from which it can not claim to be the church. This recognition, that all churches have failed and are only reckoned churches by the sheer grace of God, opens the door for the acknowledgment of other fellowships of Christians as recipients of the same grace. They too can be seen as members of the same household with God, which is a fellowship of forgiven-failures. If only each branch of the church will acknowledge how it has failed to be the church, they will be able to extend that grace to the other branches of the church, and acknowledge them as brothers and sisters with whom they are called to fellowship. The way to unity is repentance. If Catholics will admit that God has looked on them as the church despite their fatal failure to be this, then they will be able to see Protestants as not only sinful non-churches, but as forgiven churches. If other communities are reckoned churches by God, if God has shown them the same grace we have received, then we must be in fellowship together with them as the one church. According to Newbigin, mission is the proper impetus for reunion, but repentance is the necessary atmosphere for its accomplishment. Repentance ought to lead to reconciliation, but of what form? Is it enough for each church to merely admit that the other Christian fellowships are indeed participants in the one true universal church and go on with business as usual? Newbigin answers this with a resounding “No!” and has some important words to say about what he understands to be the form of unity demanded by the gospel. Speaking on behalf of the Faith and Order Working Committee Newbigin articulated the two conditions of the desired form of unity. First, it must be such that all who are in Christ in any place are, in that place, visibly one fellowship. Second, it must be such that each local community is so ordered as so related to the whole that its fellowship with all Christ’s people everywhere, and with all who have gone before and will come after, is made clear. That will mean at least this: a ministry universally recognized and visibly linked with the ministry of the Church throughout the centuries. The church’s unity has to be expressed both locally and universally. We will consider the implications of unity in both of these spheres. The first level of unity is the local. “All in each place” are to be in one visible fellowship, “not of those whom we choose out to be our friends, but of those whom God has actually given to us as our neighbors.” If one is to be a Christian, she does not have options regarding with whom to fellowship, she is called to fellowship with all whom Christ has invited to fellowship with him, in that place. In The Good Shepherd Newbigin sighs over those who belong to two or three churches and says that they fail to comprehend what the church is. Visible unity on the local level is essential to the missionary task. It is central to the gospel representation of Christ’s unifying power in a locale. Bishops will be responsible to God not only for those in their congregations, but for “all the people of [their] parish or diocese, whether they are Christian or not.” Similarly, churches are accountable for acting concretely as a first-fruit, sign and instrument in their segment of the world. Again, we find that unity on the local level is essential for the work of mission. One of expressions and benefits of local unity is church discipline. Apart from local unity no church discipline can be exercised and this is, according to Newbigin, a great detriment to the church. The “only place where truly Christian discipline can be exercised at all is in the congregation” because it is there that Christians are “meeting regularly face to face, gathering round the same Table to break the same bread and drink the same cup.” Because the congregation is, in the missionary context, the total environment of the Christian, remaining in fellowship there is the only way to be a Christian. “If love of the brethren does not exist here, it does not exist at all.” Local unity is a pre-condition of church discipline. Discipline is used so that “the person concerned may be saved, may be forgiven, healed and restored to the Church’s fellowship.” Without local unity, the erring Christian will merely find a new church, and almost inevitably remain in their error. Newbigin’s own entry into ecumenism started with the building of a local unity, a union of the congregational, Presbyterian and Anglican churches into the Church of South India. As we have already noted, this united local church facilitated mission. The particulars of the form of unity agreed upon in the Church of South India are beyond the scope of the paper, but it is important to note that within this agreement there was a modified Episcopal system, of which Newbigin was elected a bishop. Ordained persons from each of the Presbyterian and congregational churches were, after some struggle, recognized by all. Newbigin’s vision of the polity of a reunited church will be discussed in the following section more closely. Unity on a local level is not the only requirement of God’s will for the church – God intends the church to be one across the globe. This is why Newbigin wrote of his hopes for the South India project: “if the union in South India remains an isolated event it will have failed in one of its great purposes.” Frankly, by this assessment, it did partially fail. Perhaps this is why he titled his autobiography Unfinished Agenda. Newbigin invested great efforts in seeing the unity of the Church of South India on the local level spark unity on the universal level, through the World Council of Churches. Denominations, as far as Newbigin was concerned, are not a beautiful testimony to the diversity of the church, but rather the fruit of atheistic allegiance to the sovereign autonomy of the individual. He hoped that the WCC would be the agent which brought all the fractured elements of the church together in an organic visible universal unity. 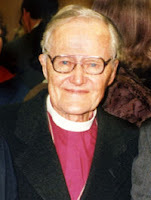 The World Council of Churches, by its very nature as a council, seemed to Newbigin both the hope for reunion, as well as one of the major threats against it. The WCC posed a threat in that its participants could easily come to believe that so long as they were participating in the WCC, the unity between itself and all other participants was sufficient. Participants in the WCC prized the neutrality of the council, which Newbigin considered a decent starting place, but an unacceptable place to conclude. I argued that neutrality could be regarded as a legitimate starting-point, but that it could not be a permanent mark of the WCC because its own existence is a kind of answer to the ecclesiological question, and it is the wrong answer. The neutrality of the WCC offered “organizational unity” not the “churchly unity” required. If churches remained neutral, never coming to a place where they must admit that the other members of the Council were also part of the church, unity would never be accomplished. It was essential that all churches recognized the others as their brothers and sisters, even while aware of the ways in which they had failed to be the church. The starting place was acceptance, from there debates could be had. The deepest problem with neutrality, in the form of “reconciled diversity” and “federation,” is that it offered reunion without repentance. For Newbigin, this was impossible. Newbigin had in mind another mark of organic unity: “a ministry universally recognized and visibly linked with the ministry of the Church throughout the centuries.” As was suggested above, this was hard to come by given the Catholic perspectives on ordination. ...there is need for fresh thinking in the field of structure. In this matter we are polarized between the advocates of full 'organic union' and the advocates of 'reconciled diversity'. The latter slogan often seems to be a polite way of agreeing to do nothing. The former arouses understandable fears of 'monolithic structures'. This fear is understandable when one contemplates the structures to which we have become accustomed. I think that there is room for more vigorous exploration of the middle ground between these extremes, looking to visible forms of ecclesial life which would combine the variety of different forms of discipleship and spirituality manifest in our divided churches with a degree of mutual commitment and shared ecclesial life much greater than is provided in our existing councils of churches. Unity was to Newbigin essential to the being of the church and hence to the fulfillment of its mission. But the church had to admit its failure to be one, as well as its failure to be in mission, in order to be able to see the way to reunion. Repentance is the critical ingredient of all efforts to achieve organic unity. I will proceed in this study of Newbigin’s ecclesiology by briefly examining how its themes are evident in the treatment of the sacraments, an important doctrine in understanding any ecclesiology. For Newbigin, baptism and the Eucharist each testify to the unity of the church and to the church’s mission. Incorporation into Christ is signaled by “baptism into a visible fellowship which is the Body of Christ...and our participation in the life of the body is maintained by our sharing in the only loaf and the one cup in one undivided fellowship.” Baptism testifies to the unity of the church universally, for all are baptized into one baptism. The Eucharist, on the other hand, is the measure of the unity of the local congregation. The fellowship around the one cup and the one loaf is the supreme evidence of unity. Newbigin draws out this theme by examining the failures of the Corinthian church whose impropriety around the Lord’s table belied a lack of fundamental unity. We do not have to send missionaries to industry... . There are already tens of thousands of baptized Christians in the industries... . The difficulty is that most of them have misunderstood their baptism. [by not considering it] a commitment to be part of God’s mission to industry. Newbigin draws the clearly biblical connection between baptism and the indwelling empowerment of the Spirit for ministry by the gifts. Baptism serves as the public commitment to mission, communal commissioning for mission and spiritual empower for mission. It is effectively ordination for into the priesthood of all believers. Indeed, the sacraments are marks of the church, in as much as they announce the identity of the church as a visible unified fellowship that has been committed and been commissioned for a task. Each sacrament carries meaning regarding mission and unity. In baptism we are united with Christ, and therefore with all others who have been united with Christ in baptism, but we are also commissioned and empowered for participation in God’s mission. As we celebrate communion, our baptism is renewed and we are fed and nourished by God to continue the mission, but we are also intimately united as a visible fellowship around a common table. As I conclude this survey of Newbigin’s ecclesiology, I wish to highlight a few pearls of wisdom which have particular relevance for the church of which I am a part, the Presbyterian Church (USA). Like the other mainline denominations, the PC(USA)’s membership is aging and declining. Many congregations, and perhaps the denominational headquarters as well, are grasping for whatever promises survival. Newbigin’s ecclesiology has much to offer this church not among these are his eschatological orientation, his doctrine of election and his emphasis on the shared ministry. The tendency of all institutions in decline is to fight for survival by looking to the past for what used to work. Newbigin’s eschatological orientation invites the church to look to its future, rather than its past, for guidance. In the eschatological view, a declining denomination is no tragedy, so long as the mission of the church in each place continues. Newbigin offers hope, not specifically that the denomination will revive, but that the church will persist to its ends—the end of the world and the end of time. As the PC(USA) faces the possibility of its own death without fear, resurrection becomes a possibility. As a Reformed tradition, Presbyterians might be open to rethinking the doctrine of election. Commitment to the purpose for which the church was created is another way in which the PC(USA) can direct it efforts away from its own survival, and to mission. Striving for survival makes sense if election is understood as having benefits only to the elect. But if the election of some is for benefit of all, then survival is only a secondary concern. Reencountering the unique calling to which the church, the chosen instrument of God through which to invite all into relationship, promises to bring life to the church. As congregations age and decline in membership, the temptation looms large to look for that special pastor who will make a church grow by his natural charisma. Newbigin’s reminder that the whole congregation, by virtue of their baptism, are participants in the mission of the church, is needed. The vitality of a church’s ministry does not depend on the pastor alone because the pastor is not the only minister in a church. A Pastor is one who equips all for the ministry of the church. This can be modeled effectively by the empowerment of the church’s elders and deacon in the ministry of the church. Oh, the depth of the riches of the wisdom and knowledge of God! How unsearchable his judgments, and his paths beyond trading out! “Who has known the mind of the Lord? Or who has been his counselor?” “Who has ever given to God, that God should repay them?” For from him and through him and to him are all things. To him be glory forever! Amen. [d] This theme, one of Newbigin’s favorites, is a paraphrase of Romans 11:32. Newbigin, Lesslie. The Household of God. New York: Friendship Press, 1954. American Edition. p. 7. Newbigin, Lesslie. The Open Secret: An Introduction to the Theology of Mission. Revised Edition. Grand Rapids: Eerdmans Publishing Company, 1995, p. 68. The Household of God, p. 18. The Open Secret, p. 110. The Household of God, p. 114. Hunsberger, George. Bearing the Witness of the Spirit: Lesslie Newbigin’s Theology of Cultural Plurality. Grand Rapids: Eerdmans, 1998. The Open Secret, p. 72. The Household of God, p. 111. Barth, Karl. Church Dogmatics. II.2. The Household of God, p. 163. Newbigin, Lesslie. The Good Shepherd: Meditations on Christian Ministry in Today’s World. First American Edition. Madras: Christian Literature Society, 1977, p. 34. The Household of God, p. 167. The Good Shepherd, p. 43. The Household of God, p. 146. The Good Shepherd, p. 74. A South India Diary, p. 63. The Open Secret, p. 27. The Household of God, p. 70. A South India Diary, p. 128. The Good Shepherd, p. 30. The Household of God, p. 152. The Household of God, p. 14. The Good Shepherd, p. 87. The Good Shepherd, p. 53. Newbigin, Lesslie. The Basis and Forms of Unity: Second Peter Ainslie Lecture. Mid-Stream: The Ecumenical Movement Today 23 (January, 1984): 1-11. p. 9. Accessed at www.newbigin.net. The Household of God p. 151. Newbigin, Lesslie. The Reunion of the Church: A Defence of the South India Scheme. London: SCM Press, 1960, p. xxiii. Newbigin, Lesslie. “What is the Ecumenical Agenda?” Unpublished. Written in 1986. Accessed at www.newbigin.net. The Household of God, p. 52. The Good Shepherd, p. 99. Newbigin, Lesslie. The Holy Spirit and the Church. Madras: The Christian Literature Society, 1972. (Accessed through www.newbigin.net) p. 14. Title of article in Reform (July/August): 18, 1990. J.E. Lesslie Newbigin. Romans 11:33-36. Holy Bible. Today’s New International Version. International Bible Society. 2005.